Before long, ever movie will become a TV show in the future. It's certainly not a new idea, as many movies have gotten the TV adaptation treatment. But over the past year, each network has ramped up this idea, abandoning new ideas to instead focus on series that already have a built in audience and title recognition. 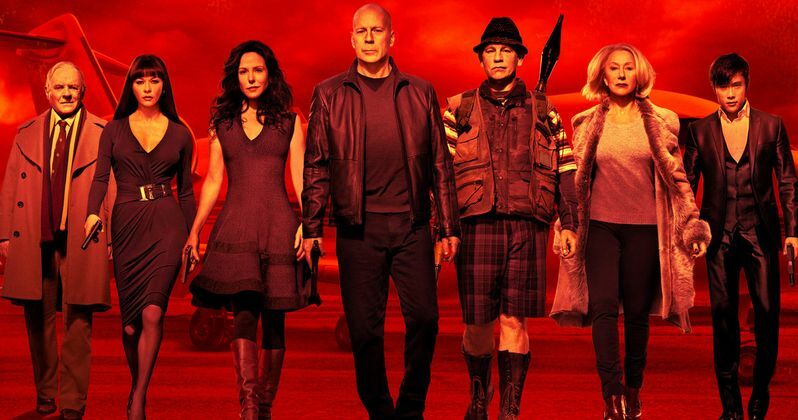 The latest movie series to head to the small screen is Red, which debuted in 2010 and was followed by a sequel in 2013. NBC is behind this new iteration, though it's not known if Summit Entertainment has now abandoned the idea of another big screen sequel. NBC is developing the Red TV series as an hourlong action drama that will be directly based on the feature film franchise. The small screen version is coming from the big screen series' creative team. Jon Hoeber and Erich Hoeber, the duo behind both the Red and Red 2 screenplay, will team with original producers Lorenzo di Bonaventura and Mark Vahradian. Lionsgate TV will produce Red through Di Bonaventura Pictures Television. Both Red and Red 2 were based on the limited comic book series of the same name. Warren Ellis and Cully Hamner created the title together, with DC Comics imprint Homage publishing the books. The original movie starred Bruce Willis, Mary-Louise Parker, Morgan Freeman, John Malkovich and Helen Mirren. The sequel then brought in Anthony Hopkins, Byung-hun Lee and Catherine Zeta-Jones. An action comedy franchise, the story follows a group of REDS, which stands for Retired Extremely Dangerous operatives. They must return to action as the CIA sends in assassins to dispatch them. The Hoeber brothers will write the pilot episode. This TV version of Red will stay within the lines of the original plot, with the core concept remaining firmly intact. The action, though, will take place in a more realistic world according to Deadline. The drama will be more authentic and grounded. The episodes will focus on the dark and hilarious struggles these retired assassins face on a daily basis. They must succumb to civilian life in order to survive while simultaneously fighting for and against the organization that exiled them. Jon Hoeber, Erich Hoeber, di Bonaventura and Vahradian will all executive produce Red. The original movie arrived as a sleeper hit in 2010. It grossed $200 million worldwide. Though it didn't deviate too far from the path, Red 2 wasn't as popular. It only pulled in $148 million worldwide. Perhaps that's why Summit and Lionsgate feel it will work better as a TV series. What do you think? Will you be watching?